On the East Coast, we have been having a mild fall so far. When I went over to the garden on Sunday to clean up, I found there were still a lot of carrots. Yes, they were small. But yes, they are also so tasty. After pulling the carrots, I went to check four Brussels Sprouts stalks. When I last saw them in early November, the sprouts were small. On this trip, they are large - - almost as large as those in the supermarket. Dorothy baked them and put balsamic vinegar on them. The big ones had a creepy texture but the smaller ones were great. My mother will be amazed to know that I finally ate a Brussels Sprout. 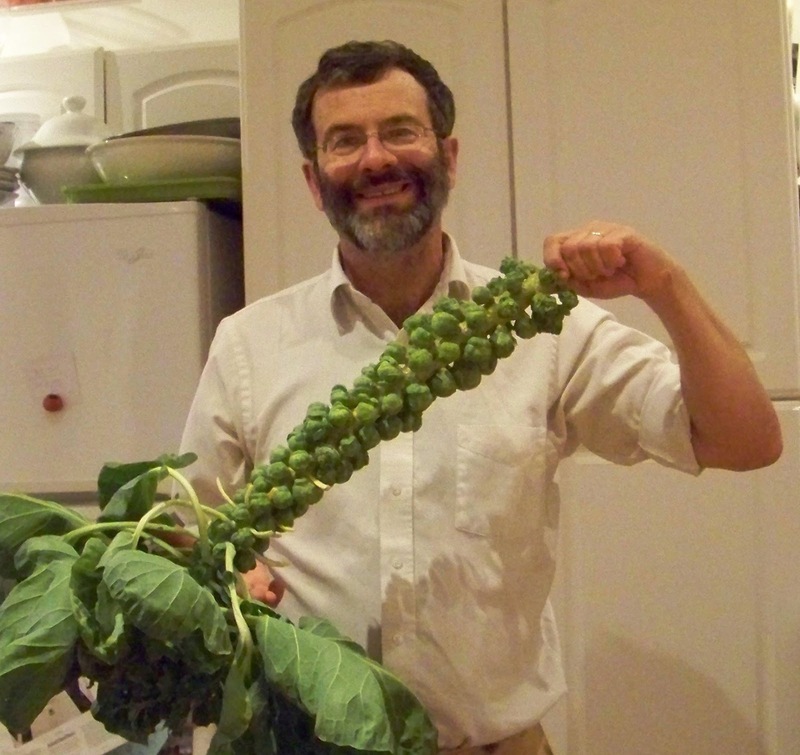 The Brussels Sprouts that Ate Guilderland!